Brickworld, the premier LEGO experience of the Midwest, is once again coming to the Grand Wayne Center on October 13-14 for a weekend of fun. There will be 32,000 sq ft of display space for all the brick creations you can imagine, and also some you can’t! 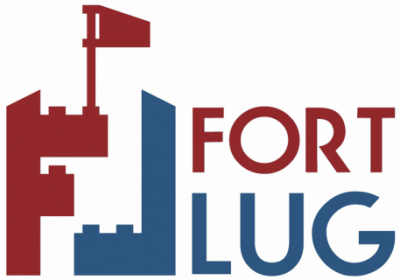 FortLUG will have a multi-faceted layout again with lots of new and engaging things, such as a new City plan, a whimsical Holiday Village, plenty of vintage and modern Technic sets, and more. Because this year is the 60th anniversary of the LEGO brick patent, we’ve included some historical fun facts about the models in our layout. We’re also trying a new interactive approach with a LEGO gaming area. We’ve been planning for Brickworld since March and are excited to finally show off what we’ve built, so come out and have some fun with us! May 18 – Aboite Branch ACPL, 10AM-noon. Please be courteous and respectful in any comments you make on this site. All comments are moderated before they appear publicly. Comments on new posts will close 30 days after the post was made. This is to keep spammers and XSS-ers at bay (I'm glaring hard at all you SEO marketers and your bots).